Eichstätt and Solnhofen fossils - The Jurassic world the lithographic limestone. Jurassic fossils from the lithographic Limestone of Solnhofen. Solnhofen, the world most famous Jurassic Konservat-Lagerstätte. Solnhofen fossils are some of the best preserved and also sometimes most beautiful fossils of the late Jurassic period. Solnhofen Fossils represent a complete fossilized ecosystem on a archipelago at the outskirts of the Tethys ocean. Solnhofen is famous for ist huge diversity of fossils. 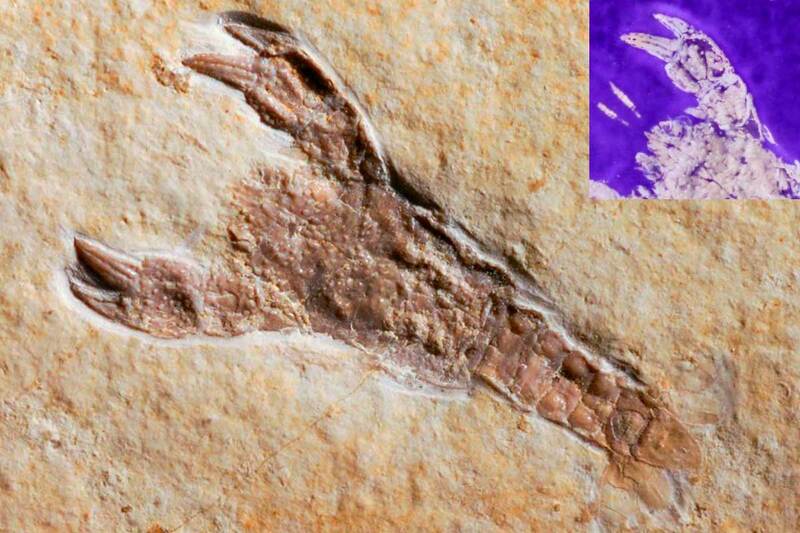 From Solnhofen are countless marine crustacean species and fossil fish known. 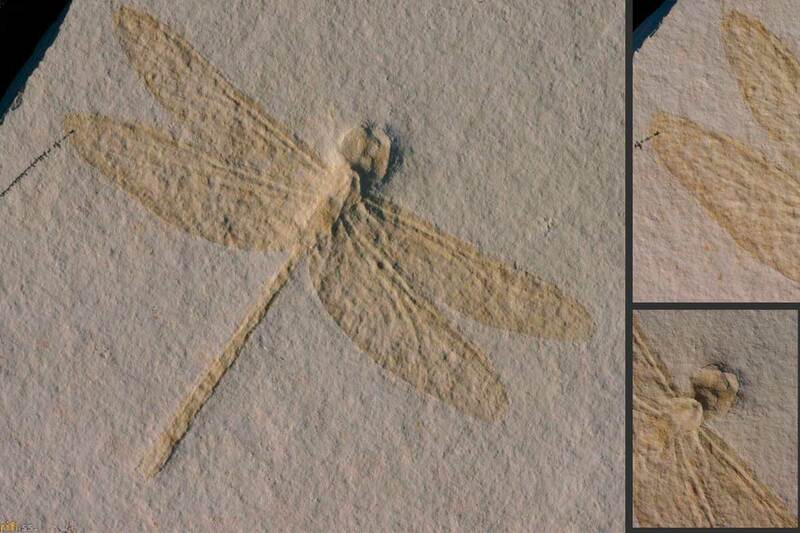 Also fossil land lives like Dragonfly fossils or pterosaurs fossils are present in the lithographic limestone. When it comes to living fossils it is usually the horseshoe crab species Limulus polyphemus and the fossil Limulus Mesolimulus walchi from Solnhofen. 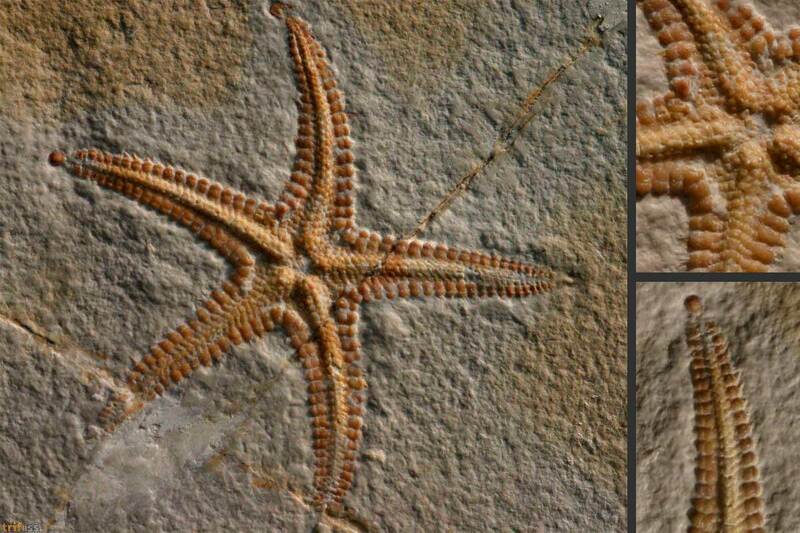 A superb starfish fossil from the Ried side at the edge of the Solnhofen Region. 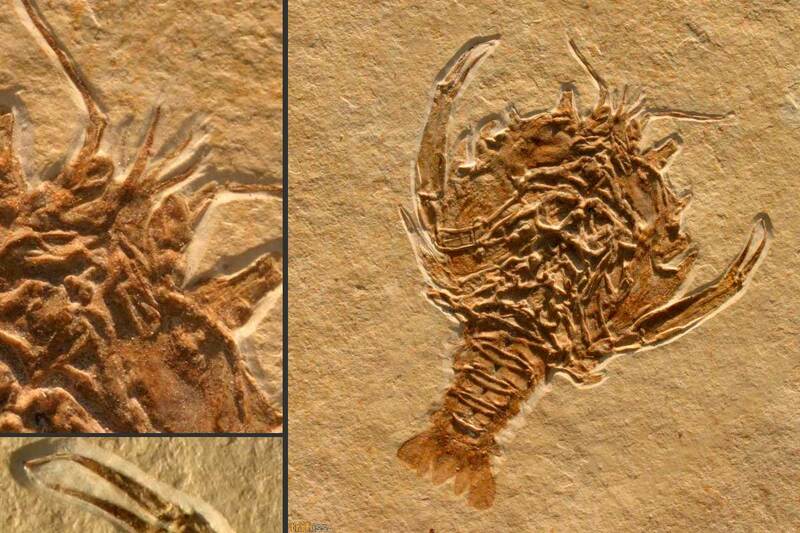 A rare Solnhofen Lobster from Eichstätt. Pustulina minuta was known and is still today sometimes refered as Eryma minuta. A picture book Solnhofen fossil of a Dragonfly. The classical Solnhofen Limulus fossil. 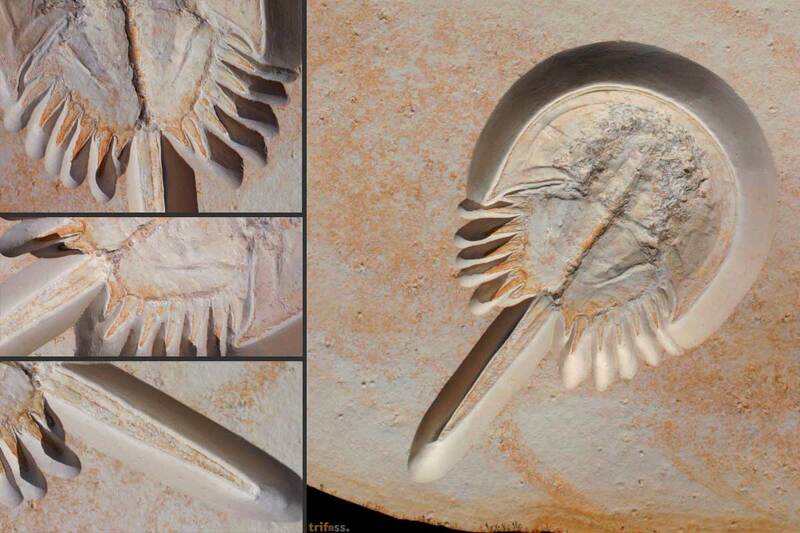 A exquisite example of fossil Solnhofen crustaceans. 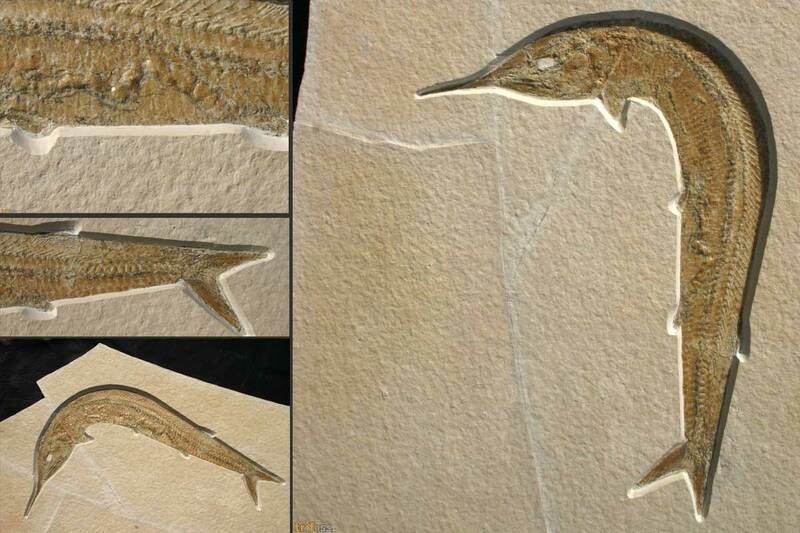 A elegant predatory fish from the Jurassic Solnhofen lagoon. Over 600 species of Solnhofen Fossils have beem descried so far. The diversity ranges from a diverse Martine fauna like fish and crustacean fossils, even servile species of squid or jellyfish are preserved with soft tissue. 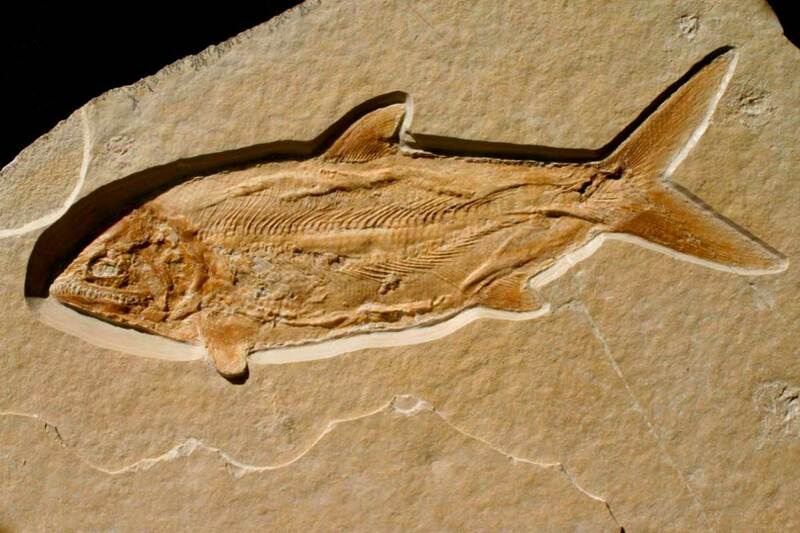 (So called soft body preservation or Konservat-Lagerstätte) But solnhofen fossils allow also an insight to the Jurassic land live. For example twenty-nice different species of pterosaur fossils are known from the Solnhofen limestone. Fossil insects and fossil plants, even small theropod dinosaurs are known from the Jurassic of Solnhofen.